Vampire P.I. Jack Fleming is playing babysitter to Gabriel "Whitey" Kroun, a dangerously unstable mobster-and newly-created vampire-with deadly secrets to hide. 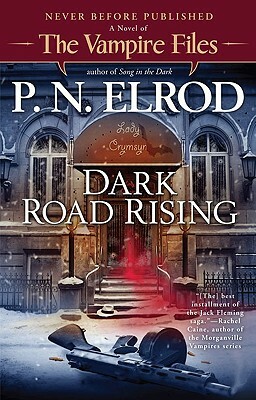 As Jack tries to unravel the mystery surrounding Kroun's undead state, he gets caught between his charge's violent outbursts and some syndicate torpedoes looking to rub them both out, leaving him vulnerable to an even deadlier threat- the return of an old enemy desperate to unlock the secrets of Jack's vampire immortality.